I am following this person since I was studying my diploma in Sangamner (Ahmednagar). I came to know by my mate that day when he came to know my sirname 'Nangare'. He was curious about if Vishwas Nangare Patil is my relative. But I sincerely clarified that he is of other cast. But I must tell you that his introduction to me was like one I will remember whole life. He was narrated to me like a superhero. We see such characters in movies only. But his stories was famous since then till now. 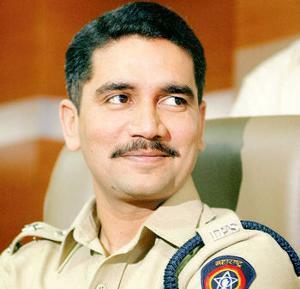 Vishwas Nangare Patil single-handedly taken initiative to choke down criminal activities in Ahmednagar, Pune rural areas. He got lot of media attention when he exposed rave party near Pune in 2007. It was massive revelation for society and media as well. A very next year on 26/11, he was again got attention when he led team of few cops to fight with terrorists and entered in Taj Hotel protectionless just holding riffle in hand. He awarded Galentry award by government for his fearless and effective act to push terrorists to corner part of hotel. Later he is transferred to various districts in Maharashra and currently posted to Kolhapur which is his home district. His tenure with police and his journey to this fame is also inspiring. He is very well known personality in Maharashtra and traveled at most of the districts to deliver speech to people and motivate them to achieve heights in their life. I met huge number of people saying that I attended his speech in person. I think he has done great social work by delivering motivational speeches to youth of Maharashtra. And this is the good part of him. Apart from just doing his duty he feels he can inspire youth with his experience. Now he wrote a book about this journey to his fame - "Man Me Hai Visshwas". It is in Marathi and hopefully it will get converted to other languages as well. I am sharing a candid video with news channel. Just see it. He is a simple guy with great thoughts.